Over the past weeks I’ve been attempting to cover the whole route — plotted from old maps over the new. The parts through primal forest and open bog-land are rich in pioneer sentiment and timeless nature. Occasionally there are the remains of old buildings, bridge pilings, ancient culverts. But mostly the route is pavement and traffic. There are at least fifty stop signs and a half-dozen traffic lights. I pass by the buzz of shopping-center culture. Motorists self-serving regular and premium. Pasty-faced women taking a smoke-break from Bingo. Book-laden lovers, arm in arm, bursting from high-school. I’ve got the idea of recording the route as it is these days, this year. If, as Marshall McLuhan noted, “Art is a rear vision mirror,” does one stick to the timeless, the traditional and spiritual qualities of the path, or should one record the place for what it is? What is the artistic value of an ’86 Toyota? Are the passing jogger’s fashions relevant? Flags in windows? Ethnic yard-sale treasures? What about the multicultural denizens who step from their dwellings and into the shaky peace of 2003? This, my pathway, is all pathways. Artists have a history of paths. Artists also have choices — they can be record keepers, they can honour, depict, select, edit, emphasize, delete or monumentalize their paths. They can choose to see and they can choose not to see. I’m giving a lot of thought to what I’m collecting on my path. I’m thinking of 2103. Esoterica: An exercise in image and album: Assemble and photocopy maps of your path. Number your images (photos, drawings, paintings). Key your images to your maps with arrows to show the direction of view. Write up related observations. This letter was originally published as “Timeless and timely” on April 15, 2003. I love this post. Gives you inspiration to contemplate those who have gone before us. I would like to walk the trail just to see what Robert saw. Sara, did he ever do any paintings from the trail? I would love to see them if he did. Did Robert ever record the route? 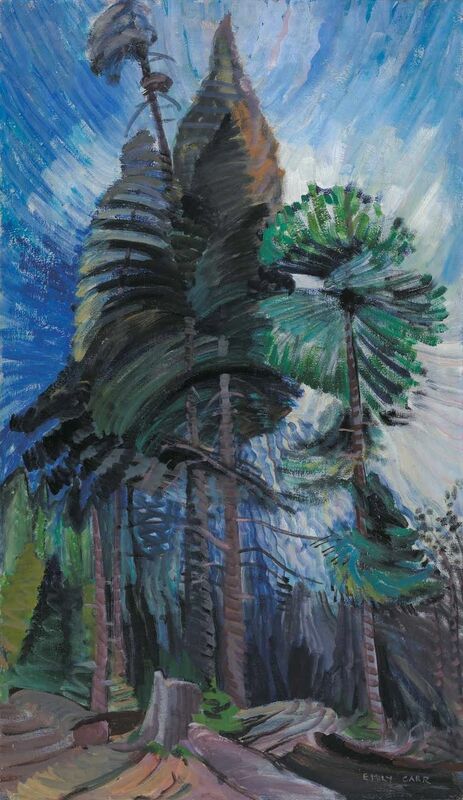 Emily Carr was such a visionary too, recording some of the isolated places in British Columbia. I like to create visual art in the hopes some of it will linger for posterity. Thank you so much for keeping up the Letters, I always make time to read them and have enjoyed them all. Thank you for this letter. 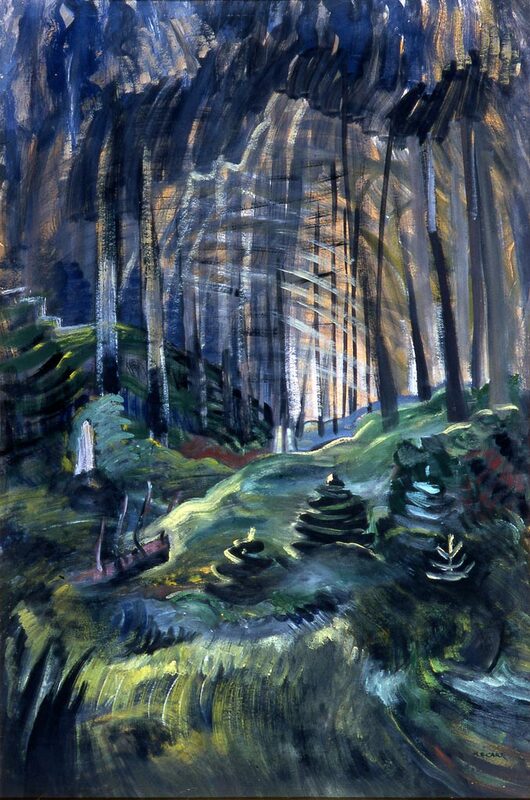 I like the quote by Emily Carr. And her paintings! Wonderful essay – thoughtful, full of description as well as the questions we all ask ourselves as artists – thank you for posting this. This is one of Robert’s most beautiful and touching letters. Thank you, Sara, for sharing it and for letting us walk this path with your father. Thank you – your posts are always so meaningful to me. Loved this letter. 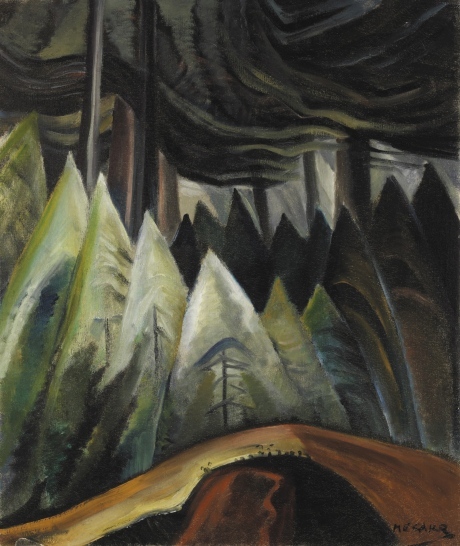 Was introduced to artist Emily Carr in book The Forest Lover. Great read. “Artists can choose to see or choose not to see” is a quote that resonates with me. Some days I can assemble and document my processes while other days it doesn’t happen easily, other than a passing thought. I find when I discipline myself by regulating habits ie. get up early, exercise, eat well and create art daily, I am able to map out my day with accomplished effort. I’ve just never thought of it till now! Thanks Sara! 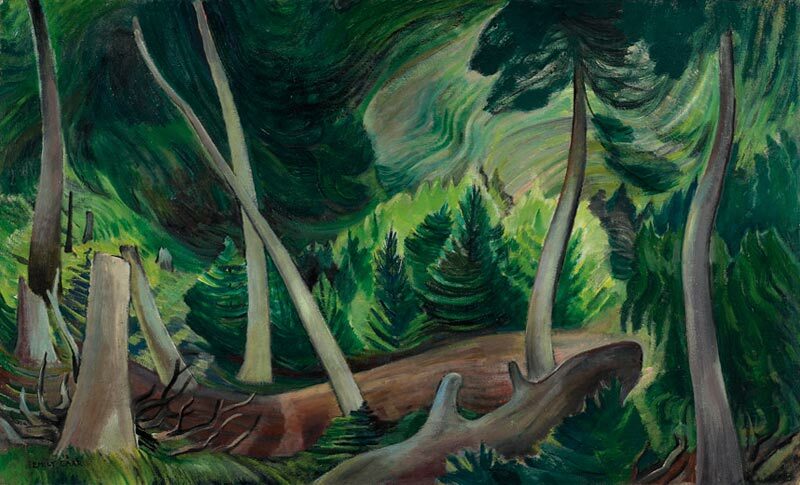 thank you for bringing the art of Emily Carr out for more to see. I live in her hometown of Victoria, BC and it’s only been in the last 10 or so years, that she’s gotten the recognition she deserves. She was a writer, too, that lived and wrote about her incredibly eclectic life of travels by caravan with many animals, including a pet monkey, in several wonderful books. 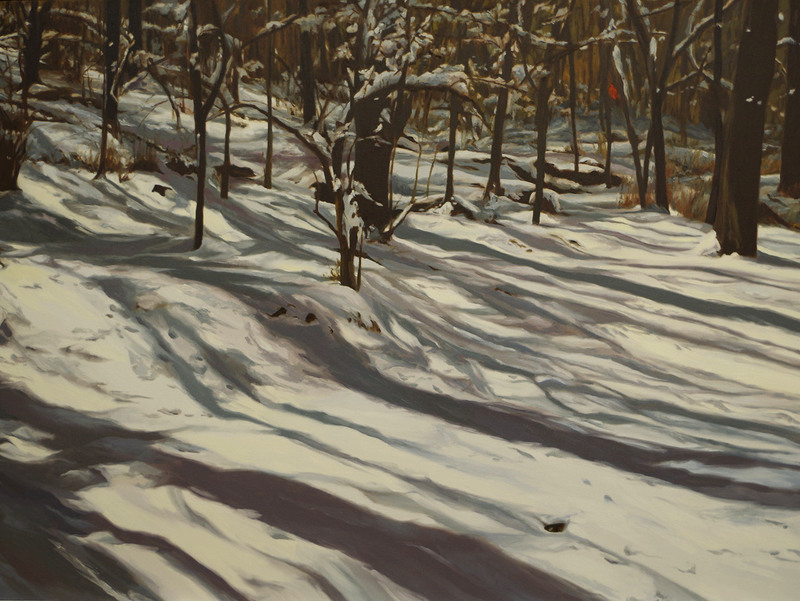 My aim as a painter is to bring to life a slice of the world as I experience it. Light, color and form are my vocabulary.